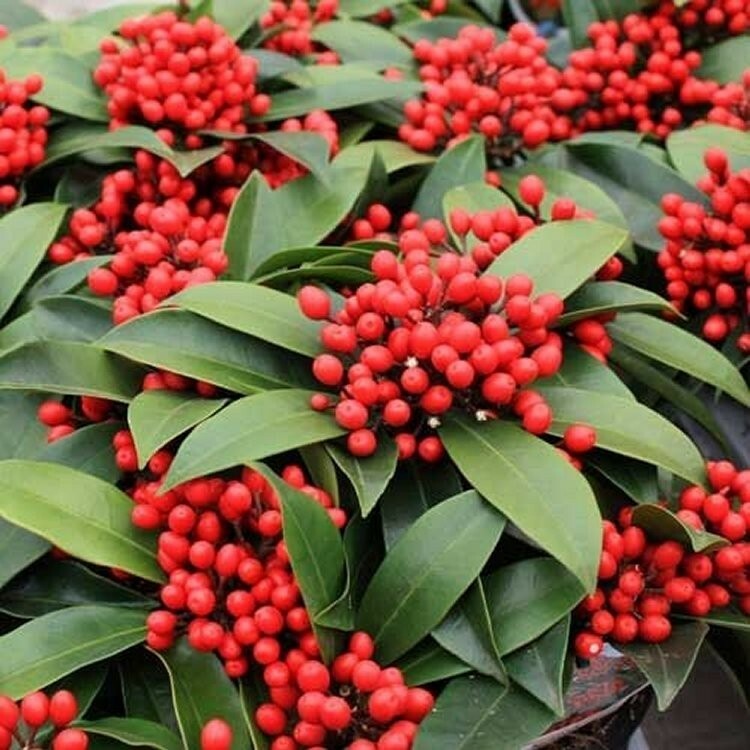 Dome-shaped, evergreen shrub with dark green, slightly aromatic leaves. In mid to late spring, fragrant white flowers, often tinged pink, open from red buds. 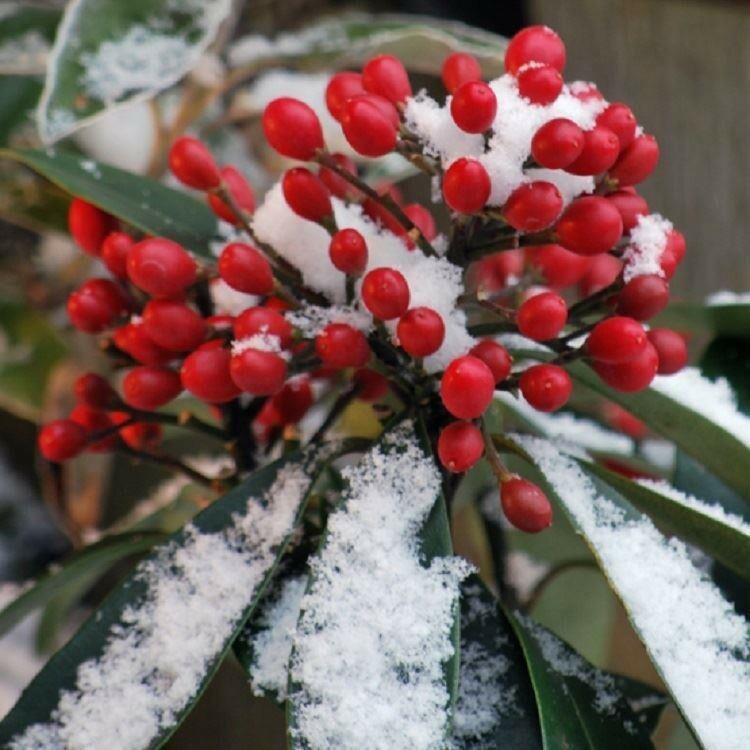 In autumn, bright red berries are produced, often lasting well in to winter. 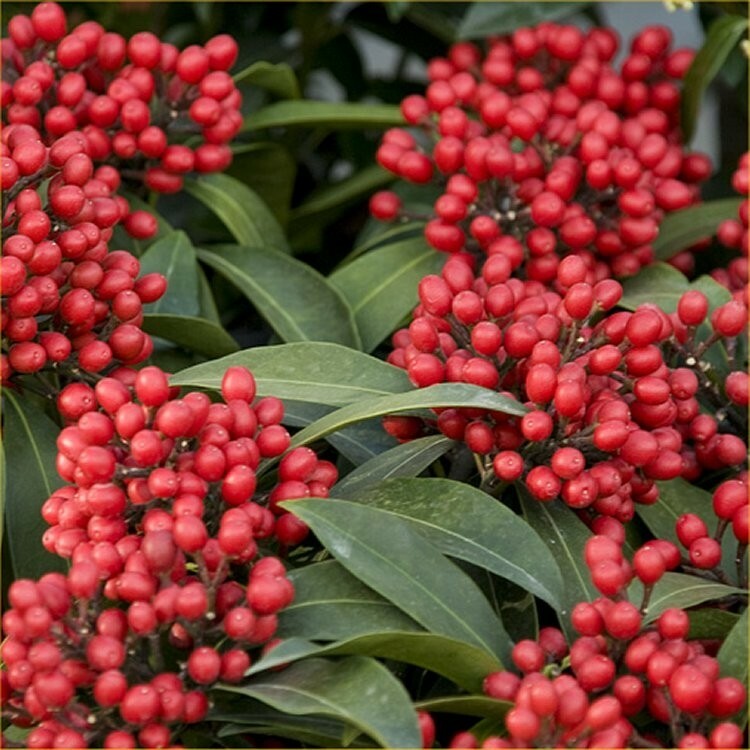 Supplied as bushy plants in approx 1 Litre containers, with berry/flower in season.